1. Warm Up: To begin practicing correctly, a proper warm up is required. Technical studies, such as pentascales for piano or long bowing for stringed instruments, can gets fingers and joints limber. Considering the keys of the pieces you are studying will lead you to the correct scales to practice during your warm up period. How long do you warm up? As long as you need. For beginners five or ten minutes suffice. 2. Write On Your Music: Always have a pencil handy. Writing on your music is not a bad thing. It is actually a very professional action. Better musicians mark habitual mistakes, fingerings, and dynamic markings to make sure learning is not slowed by careless mistakes. Notice I said to mark habitual mistakes. If you miss something one time, make a mental note. If you miss it a couple more times and it becomes a habit you must mark the mistake to help you become aware of the problem. I do not encourage people to write letter names above any notes unless it is used as a last resort. For beginners, writing letter names above notes will slow the music education process because they are only prolonging learning note names. Writing too much on your music will result in a messy score that is harder to read instead of easier to read. 3. Practice Slowly: New pieces should never be practiced at performance speed. You should practice the entire part of the music you are studying at the fastest tempo you can play the most difficult passage – then a bit slower. Tempo, or speed, should be increased gradually and only after you have practiced the entire piece. This will ensure that the tempo does not fluctuate wildly after you feel the piece has been learned. 4. Set Aside Time: Any practicing is worthwhile, but time that is reserved for practice is best because interruptions are fewer. Try to practice when events are not happening immediately after or before practice; this way your mind is completely focused on your practice. 5. Quiet: Practicing in a quiet space may be difficult, but finding that sanctuary for practice time will improve productivity within that time. Once more, this will help you focus on your practicing. 6. Calm: Practicing should be done when you are in a calm state. Rushing home from work or school to practice is not the best procedure. If you are exhausted or busy when you begin practicing you will not get the most out of your practice time. 7. Identify Problems: Many younger students will simply play a passage over and over without stopping to analyze the music for problems. Being able to identify problems and implement solutions in an organized fashion is more than important to your music education and independence of learning. 8. Isolate Rhythmic Problems: Rhythmic problems should be corrected outside of the line of music. This way the notes are not involved, and the rhythmic issues can be dealt with for what they are: rhythm. After the rhythmic problems are solved the notes will be easier to apply. 9. Work Into and Out Of Problems: It is wise to work out problems in small areas. Once a problem is solved you should practice into the problem from a few measures before, then from the problem area forward a few measures, then from before to after the problem area. This method of working outwards from problem areas will ensure continuity in your playing when you piece everything together. 10. Practice In Sections: Always practice your music line by line or phrase by phrase. The brain enjoys small bites of knowledge. It is easier to process and produce when there is less knowledge being processed at a slower rate of speed. This way you will not forget what went wrong and where it happened. 11. Everything: I encourage students to not only practice notes and rhythms but all parts of the music as they begin. Dynamics, articulation, phrasing : all this should be included from step one when you practice. The European method of teaching is sometimes explained as the student learning notes and rhythms first with no attention given to tempo or anything else right away, and then everything else will be added on top of those foundations. Different people benefit differently from these two approaches. I have known musicians to practice both ways depending on circumstances. 12. Practice Daily: Building good habits require daily attention. The mind likes routine and will take advantage of a daily practice time. The more time you leave between practice sessions the more information learned will be lost. Keep your study fresh and continually moving forward. 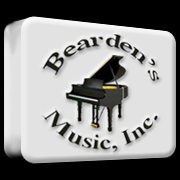 This entry was tagged how to practice, learning music, music education, music lessons, music teacher, piano lessons, piano teacher, practice methods, practicing music, practicing piano, practicing tips. Bookmark the permalink. I really like how you’ve phrased “The brain enjoys small bites of knowledge.” You could have said “prefers” or “works better with,” but your word choice created a sense of fun as opposed to work or function. This is a great tip list. This is great and you have challenged me. Thanks for these reminders! Excellent post. I’ve been taking lessons for 9 years and practicing slowly is necessary. Speed will come in due time. Check out my music store's website. Clickity above.